of the award-winning book Why We Love Dogs, Eat Pigs, and Wear Cows, which has been published in 12 languages. Dr. Joy is the eighth recipient of the Institute of Jainology’s Ahimsa Award, which was previously awarded to Nelson Mandela and the Dalai Lama. Her work has been featured by numerous national and international media outlets, including the BBC, ABC Australia, NPR, and the New York Times. Dr. Joy has given her acclaimed carnism presentation on six continents, and the video of her recent TEDx talk on carnism is in the top 1% of the most-viewed TEDx talks of all time. She is also the founder and president of the charitable organization Beyond Carnism and author of the books Beyond Beliefs: A Guide to Improving Relationships and Communication for Vegans, Vegetarians, and Meat Eaters and Strategic Action for Animals. 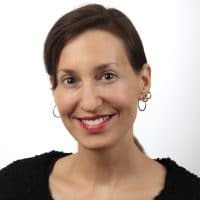 Dr. Joy is also the founding president of the charitable organization, Beyond Carnism, a co-founder of ProVeg International, and the co-director of the Center for Effective Vegan Advocacy (CEVA). Paul Shapiro is the author of Clean Meat: How Growing Meat Without Animals Will Revolutionize Dinner and the World(published by Simon & Schuster’s Gallery Books). 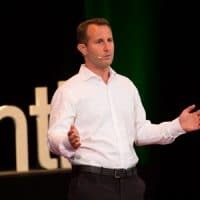 A TEDx speaker and the founder of Compassion Over Killing, for 13 years Shapiro also served as a spokesperson and vice president for The Humane Society of the United States. In 1995, Shapiro founded Compassion Over Killing as a high school club, building it into a national organization over the next decade before leaving in 2005 to join The Humane Society of the United States. An inductee into the Animal Rights Hall of Fame, Shapiro has been interviewed by hundreds of news outlets as an authority on animal welfare and animal advocacy. He’s also published dozens of articles about animal welfare in publications ranging from daily newspapers to academic journals. Sunny is the manager of The Vegetarian House in San Jose, California. 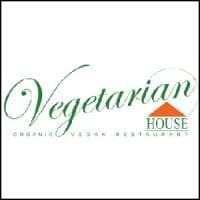 The Vegetarian House is an organic vegan restaurant located in downtown San Jose; it was inspired by The Supreme Master Ching Hai, a world renowned spiritual teacher and humanitarian. The restaurant began operation in 1994 with a vision of a world where all beings, humans and animals could live together in peace, love and harmony. At the Vegetarian House, fresh organic produce is served cooked and seasoned with non-GMO (Genetically Modified Organisms) ingredients. Genetically modified foods are linked to allergic reactions and damage to virtually every organ studied in lab animals. They are banned by food manufacturers in Europe and elsewhere, yet GMOs are present in the vast majority of locally available processed foods. Some of the products including sauces and noodles are made in house from scratch, using organic ingredients that are free of preservatives. Concerned for the happiness and well being of our animal friends, only animal-free meals (vegan) are served. In an effort to reduce the carbon footprint, freshly grown organic ingredients from local sources are used whenever possible. The restaurant also uses solar energy generated from solar panels and uses energy efficient lighting and appliances. The Vegetarian House is committed to working towards a sustainable planet. To reduce the environmental impact, all waste is recycled or composted whenever possible. The ‘TOGO’ packaging is made of environmentally-friendly materials which are either biodegradable or compostable. Part II: Caryn Hartglass covers food trends for the new year. Caryn gives her thoughts, inspirations and ideas for the coming year.